Because your time is better spent getting stuff done. Manually configuring servers and using multi-step checklists to deploy your applications is no fun at all. Ansible is a great tool for automating your infrastructure tasks, with a gentle learning curve. 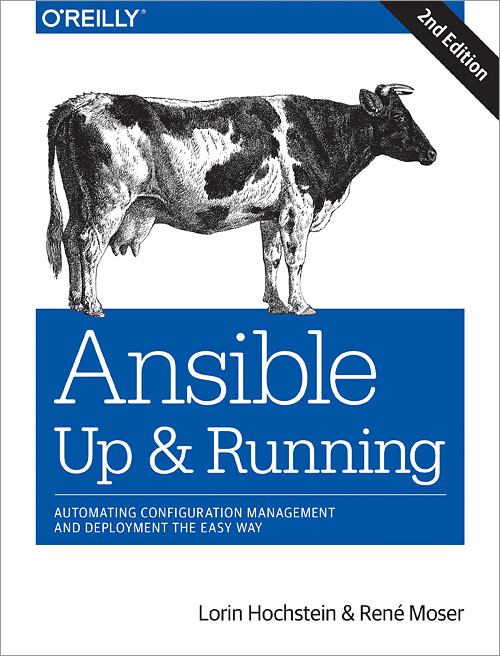 This book covers how to use Ansible to automate your configuration management, deployment, and orchestration tasks. 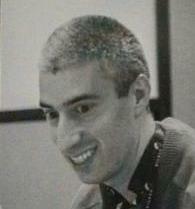 Lorin Hochstein is a former academic turned software engineer/operator. Once upon a time, he ran experiments on developers. These days, he's the one doing the development. He is currently a Senior Software Engineer at Netflix. He has been an Assistant Professor of Computer Science at the University of Nebraska-Lincoln, a Computer Scientist at the University of Southern California's Information Sciences Institute, a Lead Architect at Nimbis Services, and a Senior Software Engineer at SendGrid Labs. You can find him as @lhochstein on Twitter. René Moser lives in Switzerland with his wife and 3 kids, likes simple things that work and scale and earned an Advanced Diploma of Higher Education in IT. 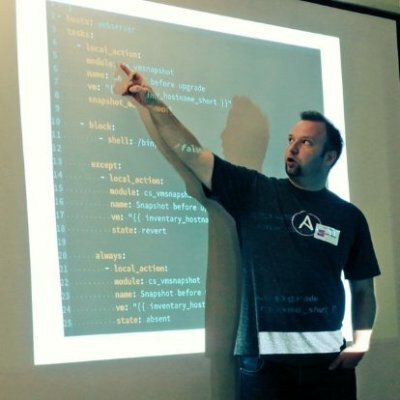 He has been engaged in the Open Source community for more than 15 years, recently as a Ansible Core Contributor and author of over 40 Ansible modules as well as a member of the Project Management Committee of Apache CloudStack. He is currently a System Engineer at SWISS TXT. You can find him as @resmo79 on Twitter.